A recent report published by Kate Legget, of Forrester concluded that self-service usage by customers on the social web has increased by 12%, chat by 24% and involvement in business community related activities, 25%. Are you responding to your customers? 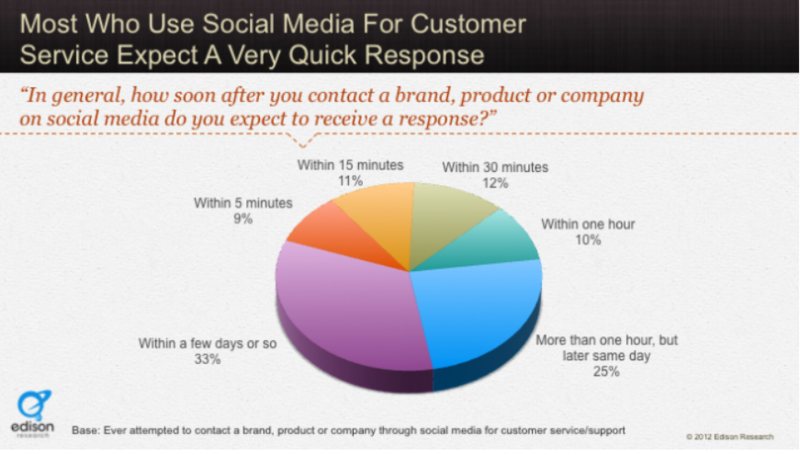 According to a recent study by Edison Research, 10% of online social customers expect to get a response back from a company within 30 minutes and 33% expect to get an answer within at least a day or so. Those statistics should be enough evidence to make you think about your current outbound communication process. 4. How effective is your knowledge management strategy? Implementing an easily accessible, organized knowledge base of customer inquiries enables customers to get quick answers to FAQ’s and even more importantly if well-managed, can save a company valuable time, resources and cost. Legget highlights the importance of knowledge management calling it the “Jewel In The Customer Service Crown”. With these questions in mind it’s time for organizations to wake up and change the channel- the customer service channel, that is.